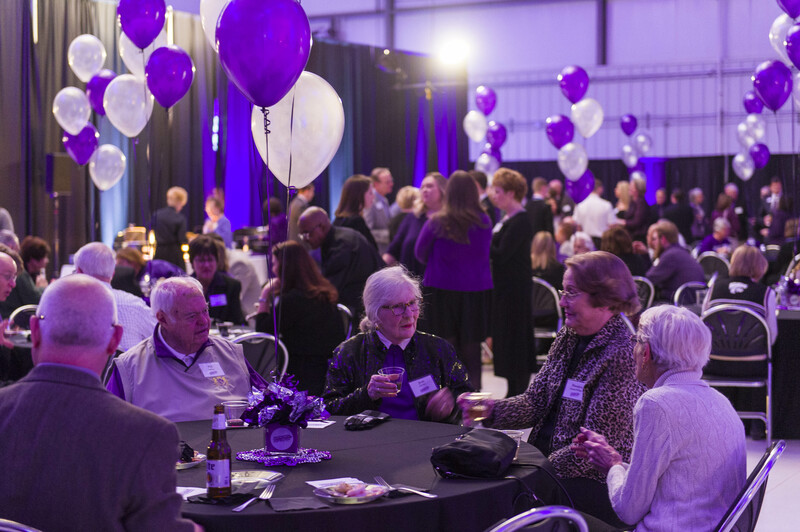 Guests enjoyed a cocktail reception in purple-lit Hangar 600 in Salina. 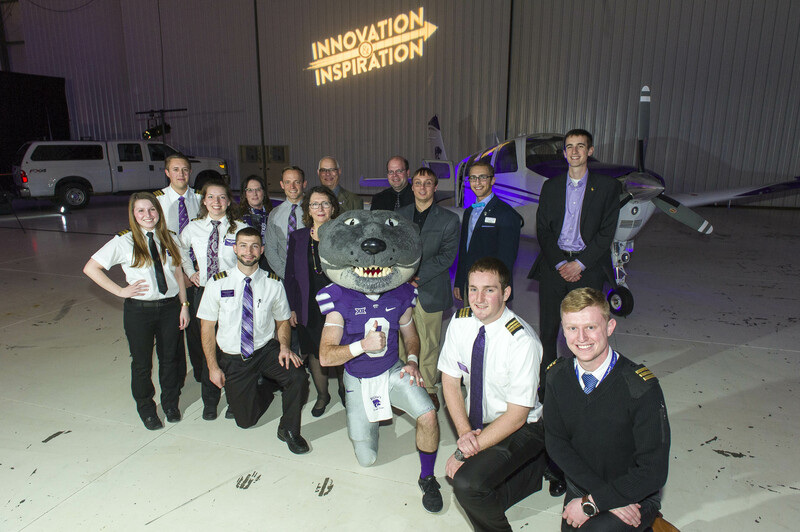 The program featured the stories of students, faculty and alumni, including K-State Polytechnic alumnus Lt. Commander Andy Talbott, a member of the Blue Angels, the United States Navy’s flight demonstration squadron. 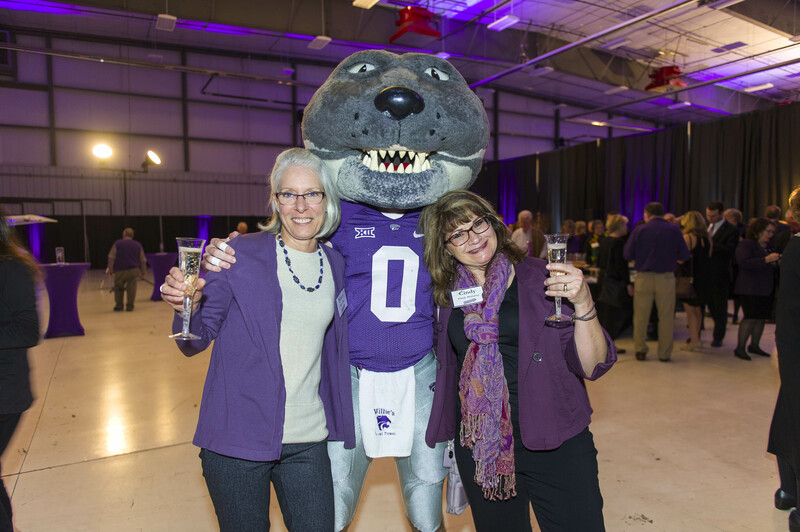 Guests enjoyed champagne and dessert with Willie the Wildcat. K-State Polytechnic students, faculty and alumni pose with K-State Polytechnic Dean Verna M. Fitzsimmons at the event. We had a great time. Dean Fitzsimmons does a fantastic job there. 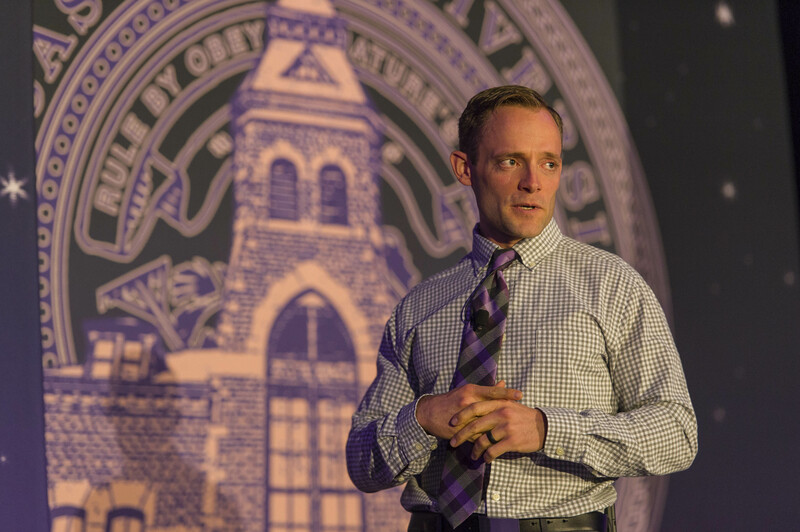 Hearing the speakers–faculty and former students– was inspirational as well as educational. 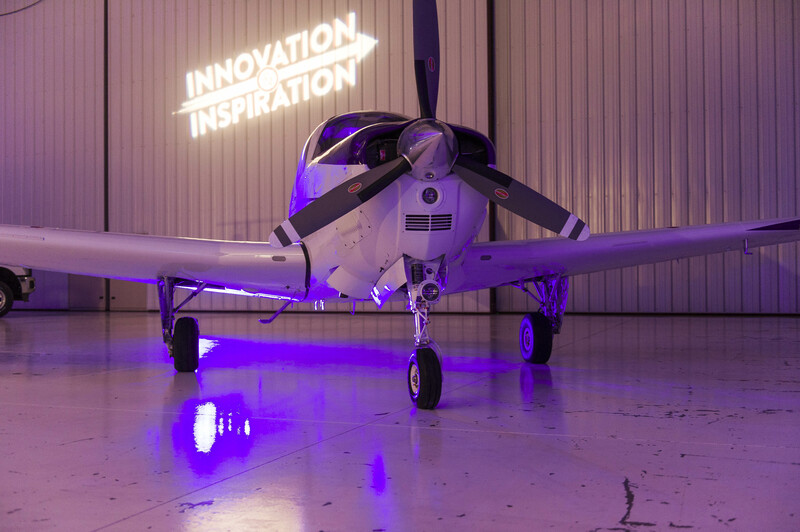 The aviation program is on of the nation’s best and will be filling a real need for commercial pilots and drone operators in the coming years. Keep up the good work and let us know if we can assist in any way!